Setting up a new company if a club goes into administration means seeking approval from several bodies to continue playing. Administration has been a key concern for Scottish football clubs in recent years with seven clubs having gone through insolvency. In part one of our analysis, we looked at cases when a club goes into administration and emerges having resolved its debts. However, in rare cases, a club can go into administration and be reborn as a "phoenix" company. This has most notably happened at Leeds United in 2007. So what is a "phoenix" company? A company that is set up to replace the old football club's parent company but that wants to run the club and keep the team in competition. Can they just take over everything without the team being relegated or having to start in the Third Division? They can, but they have to get approval from all the major bodies in the game. There are licences, shares and memberships that have to be moved over to the new company and each governing body has to make a decision. 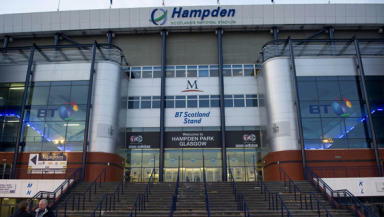 For Scottish top flight clubs, two bodies have to give consent. The Scottish Premier League and the Scottish Football Association have to rule on the new application. A place in the League Cup, run by the Scottish Football League, is automatic if the club is entered into the SPL or the SFL. How does the "phoenix" club keep its Scottish Premier League place? The SPL is jointly owned by all of the top-flight clubs, who hold an equal share in the business. The share is held by the administrator of the old, dissolved company but can be transferred to the “phoenix” club. The SPL board has to approve the transfer. The SPL board can put conditions in place before they give their approval. That can mean they impose a points deduction or any other terms they think are appropriate. The conditions for entry are set by the SPL board, and not the representatives from the remaining 11 member clubs. The board consists of Ralph Topping (SPL chairman), Neil Doncaster (SPL chief executive), Eric Riley (Celtic), Stephen Thompson (Dundee United), Derek Weir (Motherwell) and Steven Brown (St Johnstone). Topping has the casting vote in the event of a split decision. With the SPL rules bearing a broad similarity to the regulations of the Football League in England, a situation they dealt with can give a hint to how things may be handled in Scotland. Yes. Leeds United went into administration and failed to reach a CVA in 2007. A “phoenix” company, Leeds United 2007, was created and an application was made to transfer their share and membership of the English Football League. The Football League accepted the application but said that the new company, closely linked to the previous club, couldn't start without some terms being imposed, to keep the spirit of the rules. The “phoenix” company was allowed to take its place in the competition but in that specific case the board only granted the transfer on the condition Leeds started on minus 15 points. There's no guarantee that the Scottish Premier League would act in the same way as their counterparts in England but the similarities between the regulations mean that the precedent may be used as a guide. So will my team be deducted 15 points or more? It should be stressed that the figure of 15 points imposed by the Football League was discretionary and was a one-off. Reports that the SPL would dock 15 points, 25 points or more are speculation. The SPL could impose any conditions, or none at all, if they allowed a share to be transferred. Does the same apply to Scottish Football League clubs? The SFL’s Constitution and Rules (Rule 13) give them the same powers over membership that the SPL’s regulations detail for their competition. If a new company is created, the League would make the decision on whether to grant a transfer of membership, imposing any terms and conditions as it sees fit. And what about the SFA, do they have to grant permission? The SFA also exercise their authority on the transfer of membership and forbids any transfer of membership without its permission. The governing body makes it clear in their Articles of Association (14.1) that when a transfer is requested, a review is undertaken by the board. The board has complete discretion to grant or reject an application for transfer but also retains the right to impose any conditions or terms on the “phoenix” club. Do the SFA decide on whether the club gets into Europe, provided they qualify? No, UEFA decide that. They issue a club licence every year to sides who make the Europa League or Champions League. Clubs need to be granted a licence to take part in European competition and applications are made on a season by season basis. As stated earlier, if a club enters administration during the season then the licence is not immediately withdrawn so participation in the Europa League or Champions League can continue. If a “phoenix” club is created though, entry into European competition the following season would be affected. Transferring a membership is forbidden. UEFA regulations state that a club must have been a member for three consecutive years in order to be eligible for a license. Any “phoenix” club would be considered as a new entity and would begin a three year wait from its inception before being eligible to play in Europe. Part one: what happens when a football club goes into administration?